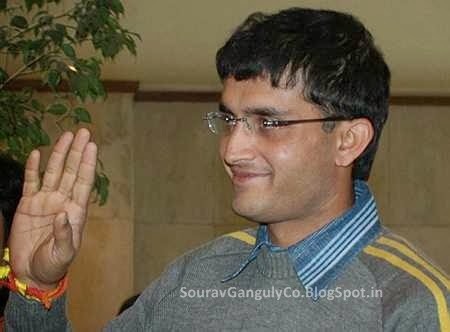 Saurav (Sourav) Ganguly is a self-made person. Some might say he was born into a rich family, that he had all the privileges, and must have got all that he needed to enable him to become an international cricketer and play for India. But he is self-made in the sense that what he is today is entirely due to his own efforts. if one compares the passive and active hands. Significant changes between the passive and active hands show a change in personality, usually because of the effort of the person. This is, of course, referring to positive changes. 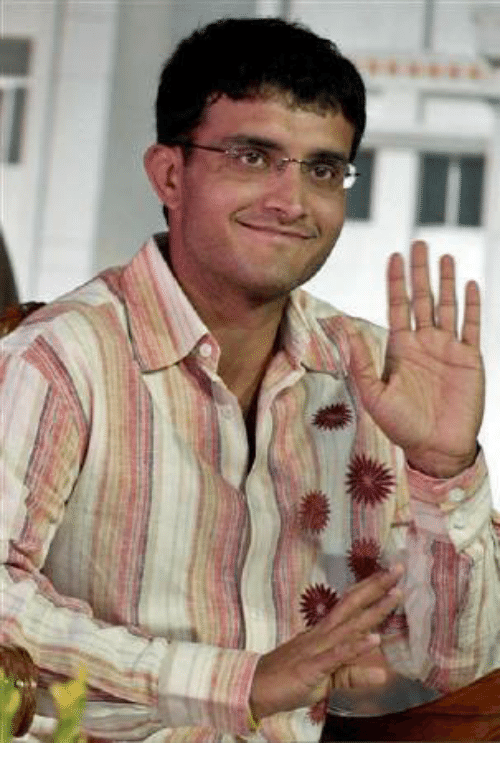 Saurav Ganguly changed his destiny for the better. His fame and name they are all due to his own hard work, his own motivation and his struggle against his fate, and one cannot help feeling a certain amount of awe for a person such as this. Saurav writes with his right hand and therefore it is his right hand which reveals his current persona. The left hand reveals the subconscious self/inherited qualities which remain latent. the years. This was done by a detailed examination of the shape and length of phalanges (of the fingers) of both the hands. Some of the ways in which he has changed have been positive, and some have been negative. Check out his right hand photos here and here, and the left hand here. On his right hand, the lines are deeper and stronger, particularly the headline, which seems distinctly longer, although the heartline does dominate. However, it dominates more on the left, passive hand. The fingertips are more rounded, rather than conic, and the Apollo (ring) finger is bent. 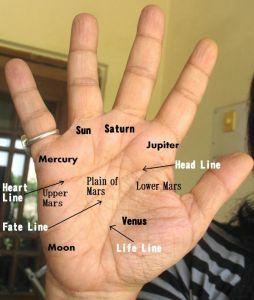 The palm is large and broad on both hands, with the Moon, lower Mars and Jupiter mounts developed. The second phalanges are significant on the left, passive hand and not so on the right, active hand. He has a good thumb on both hands. Saurav managed to enhance his intelligence, talent, and overall personal capabilities, became more practical, more of a thinker, and less prone to making decisions based on his feelings. The flip side is that he became less helpful nature, and his diplomatic and charming persona would have been more evident when he was a child. Over the years he became less careful of what and how he spoke and less willing to reach out to others. He probably became less interested in religion. His Apollonian characteristics developed, which meant a desire for fame and name, and an appreciation for beautiful things. He inherited a penchant for business, but this is not seen in his current personality. More importantly, today Saurav Ganguly is the kind of man not driven by a love of money. What drives him is a desire for fame and name. He inherited a shrewd nature, but this is less evident today, although the power of expression is present. He is far more articulate than the average person. Saurav’s hand shows ambition, strong willpower, motivation and determination. He has leadership qualities, and it’s leadership with a purpose. His strong will power, control, inner confidence, ability to resist adversity and face challenges coolly make him the kind of man who is a natural leader. His aggression is a good quality for a sportsman. He has good organisational skills plus the ability to look into details. What is to be noted is that he can carefully control his aggression. He is the kind of person who likes to use the force of his character to get things done, not just for himself but for others too. He can manipulate others to do his will. But he is not selfish, and he will do it for the good of the group, his team. He is fairly bold and will do what he feels is right. 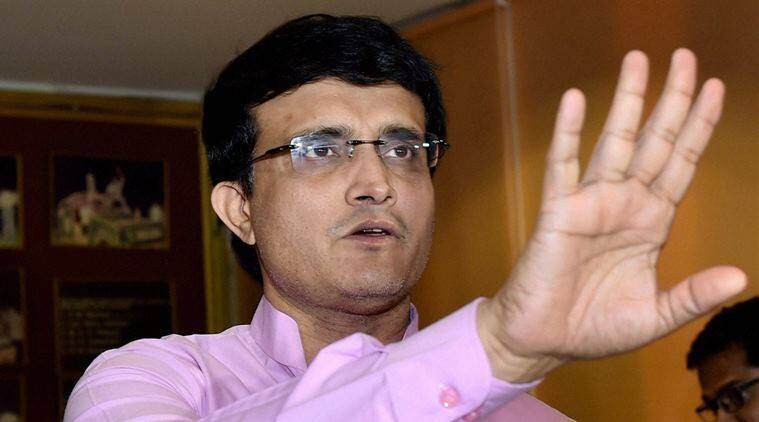 Saurav Ganguly is confident, does not like interference with his methods, likes to do his own thing. He likes freedom. When he is restrained he will not perform to his full potential. His strong will and desire to have his own way is softened by his slightly tapering thumb, and more so by its suppleness. This keeps him in balance. Saurav Ganguly is a fairly straightforward guy. He can be very broad-minded and reasonable…if he is approached in the right manner. If not, he can stick to his guns, say his pride, on principle. He could have lasted longer as he has the talent. Saurav’s fans were very disappointed when he had to bow out of international cricket. They felt he still had the potential and they are right. He has. But unfortunately, he has some qualities which could have been damaging to him. Negative emotions like suppressed anger and cynicism can sap one’s energy and affect objective thinking. Also, Saurav's hands show that he could some difficulty in getting along with people due to a combination of aggression and a sense of independence. And then, his heart does rule. Saurav Ganguly has a lot more to give his fans and to coming generations and one hopes that he continues to do so. Read about other Indian cricketers like Sachin Tendulkar or Rahul Dravid or Virat Kohli, or Mahendra Singh Dhoni, or Australian cricketer Shane Warne, or Pakistan's Imran Khan. Or read all the post filed under Cricket. Hey sm, welcome and glad you found the post interesting.